Do you equate applying for a position to actors and actresses who are in search of that famous golden statue? You should. In fact, searching for a job is a lot like being in the running for an Academy Award. 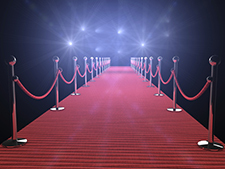 As we prepare for the Oscars on Sunday, take a look at the following facts about your job search and the lessons you can learn from Hollywood’s finest. Myth: Going for an audition is not the same as going to a job interview. Fact: An interview is an audition. The interviewers, just like movie directors, know what is needed for a job, and they want to make sure you have it. Myth: People with a reputation in the acting industry are given the roles, and new actors are looked over. Fact: Everyone has different talents, and sometimes it’s good for a company to shake things up a bit. People with the highest level of experience aren’t always the greatest fit. Just like actors, you have to prove you’re the right person for the job through your resume, references, and interview skills. Fact: Saying anyone can act is just like saying anyone can write, sing, weld, or perform any other job. Everyone has their own sets of skills and experiences, and that is what shapes them as a job candidate. The actors who take the stage at this weekend’s Academy Awards have proven their skills, and you can learn from them, too. Lesson: Do what you’re passionate about. Oscar nominee Bryan Cranston has been in the acting business for a number of years and is probably best known for his role as Walter White in Breaking Bad. His goal was to do something he loved and was good at, rather than something he might learn to like. Lesson: Sometimes you have to take risks and learn from the experience. Eddie Redmayne has made a splash in Hollywood with a short, but successful career. Last year, he apologized to the Academy for rising to the top in such a short time and stated that he knew he was very lucky. According to Eddie, you don’t want to let people down while also realizing that you can’t please everyone. So, you have to ask yourself what is worth doing and what isn’t, and that sometimes means taking risks and pressing your luck. Lesson: You can’t do it alone. Leonardo DiCaprio has been nominated for an Oscar five times, and he has earned the recognition in part due to those around him. In a recent interview, he stated that The Revenant was the most difficult job he has ever had. It was cold and he was in the water a lot, but what made it worthwhile was that everyone on set worked as a team. Lesson: Embrace the challenges and learn from the opportunities. Brie Larson is the new girl in Hollywood. The star of The Room stated that she has had to step out of her comfort zone for her role and she wasn’t expecting all the public attention she has received. As a result, she’s had to learn how to navigate her career one step at a time. Sometimes, it’s better to go into things without expectations so you can adapt as you go. Lesson: Utilize your strengths, build on your weaknesses, and be yourself. 45 Years star Charlotte Rampling is sometimes seen as aloof or unapproachable, but she states that there is nothing wrong with being private about her life. In fact, it can sometimes be detrimental to your career and personal life if you put everything on social media for the world to see. Instead, play up your strengths and improve your weaknesses. Most of all, be yourself. Employers want to know who you are when they consider hiring you, and only you can show them. What additional lessons can the Oscars teach us? Let us know in the comments section below. Next Post Poll – How Do You Prepare for a Future Leadership Role?